Productions as well as links to other media sources' coverage of our various projects. Click on In the Media to see articles from other media sources. Estevez, Dustin Diamond, Robert Z'Dar, Lark Voorhies, and Jake the Snake Roberts. the indie horror world - Brad Leo Lyon.."
theater dates to be announced soon. Visit MLive.com and the Flint Journal's coverage of the story by CLICKING HERE. as Commando, Mad Max 2, Weird Science, and the Oscar winning Innerspace. not be their only problem in a town with its own secrets. and is expected to premiere this summer. jobs, they seek out Daniel Buckworth, the town's local psychic, for help. small town's only hope for survival. Hudson, OH (just outside Cleveland) this weekend taking part in a Director's Panel. Clarion Inn & Conference Center. Voorhies of Saved By the Bell fame, and Aurelian Smith (aka Jake "the Snake"
Michigan have played host to the cast and crew. Jake the Snake Roberts (Wrestling Legend). though they are half the size, they are double the trouble! 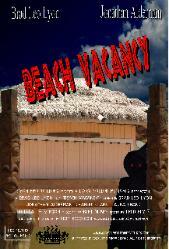 Beach Vacancy which is scheduled for a DVD release this March. After an extended vacation in the editing room, Beach Vacancy is ready to premiere. the link to our trailers section. tells the story of five college kids who veer of course on their way to Tiki Beach. resort right on the water. directed by Brad Leo Lyon in Beach Vacancy and Cloud Nine. 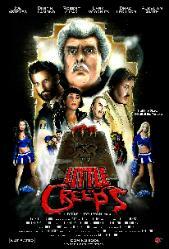 Creeps, a feature film being shot this winter. our Films button in the above navigation bar and then clicking on Cloud 9.
from Saved by the Bell), Dan Severn (UFC Hall of Famer/Rudy), and more. include such films as Meet Bill and Green Street Hooligans 2.
hold on to his players, and do whatever he can to keep his home town team alive. pair up to give the team the one thing it gave them, a second chance. mirror, Beach Vacancy will begin its festival circuit trip this fall. potentially haunted resort right on the water. A list of festivals and dates will be released soon. various sites including right here on LyonMotionPictures.com! horror films for this year.